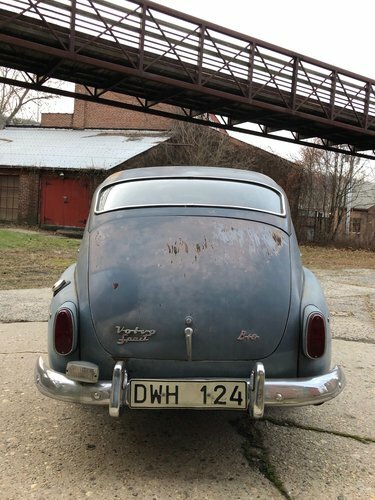 A very tidy example with a clean body, and wonderful patina. 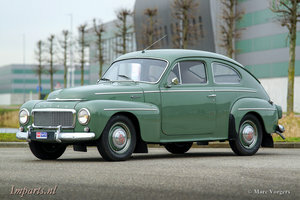 A regular are Lime Rock Park, this car would also make a wonderful hill climb car. 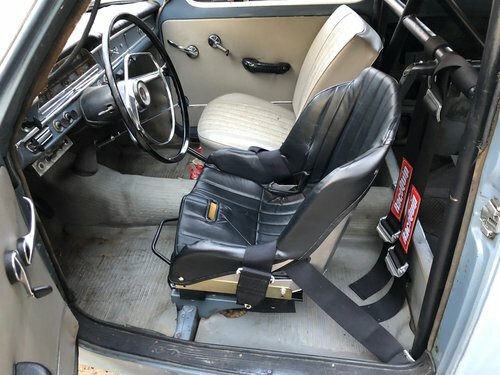 While it is set up for the track, it still retains it's original floor mat, steering wheel, gauges, and trim which add to the cars overall appeal. 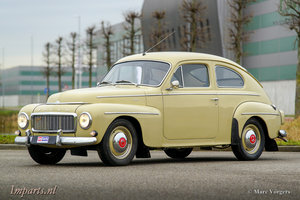 This car recently received a great deal of attention mechanically by a Volvo specialist. 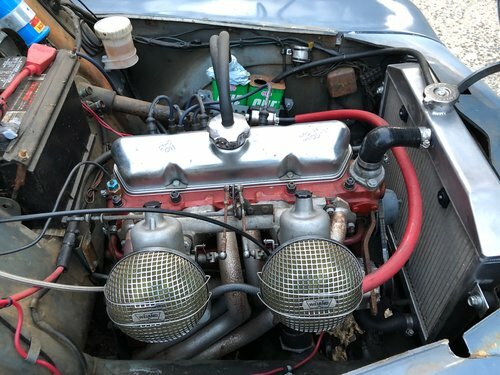 The head was shaved, new freeze plugs installed, and the addition of a Griffin aluminum radiator and auxiliary fan to aid in cooling. The tie round assemblies were replaced, as well as a great deal small repairs to ensure safe fun on the track. 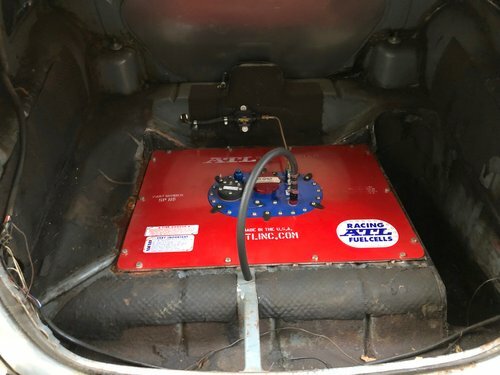 While the car can be driven to and from events, it is fitted with an aggressive race cam, and has been set up to run on 110 octane race fuel only. 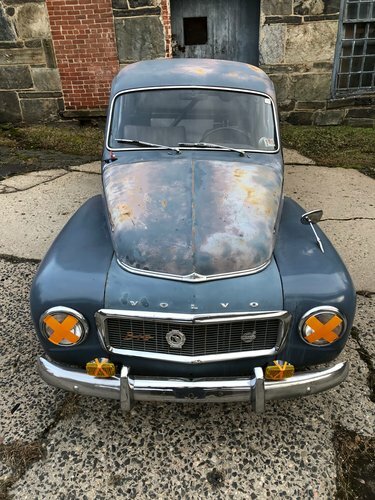 This Volvo is equipped with an ATL fuel cell, inertia switch and partial roll cage for added safety. 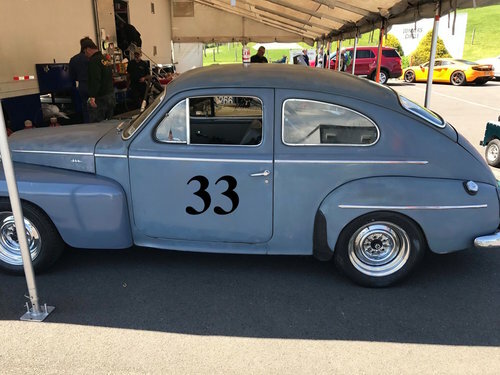 Currently on its period correct tires, the car also comes with a set of Hoosier racing slicks mounted on chrome rims shown in some of the above pictures. 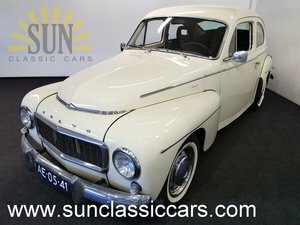 1963 Volvo PV544 B18 Original!